No one under 13. Anyone 17 and under must be accompanied by an adult. It takes a brave heart to voluntarily get locked into a serial killer’s basement to prove your worth! Well, our Kansas City team traveled to the West Bottoms to face the challenge head on. The Basement advertises itself as a unique high intensity horror themed escape room experience and they certainly delivered. This room had something that the majority of us had yet to experience in the KC area… Live Actors! Since all of us have acting experience, we were intrigued by how this would help or hinder our experience and, since it was around the Halloween season, we were eager to give it a shot! 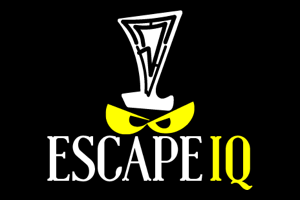 If this will be one of your first live action escape room experiences, we highly recommend visiting their website. 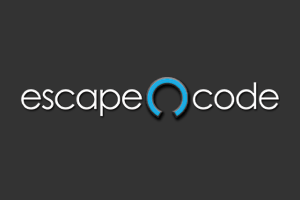 They have a high quality site that fleshes out the story really well and contains a robust FAQ. The Basement is located near State Line Road and 9th street in a rather industrial area. We arrived in the late evening hours and lighting was limited. If you plan a trip, we would recommend doing a little Google Maps research to make sure you are familiar with where you need to go. We would have loved to see more lighting on the outside as the banner advertising the room was hidden a bit in the shadows. The area can be dark and parking in front is limited so carpooling would be a great idea. The lobby is small with some seating and drinks/shirts for purchase. It didn’t take long for our group to notice the small theatrical touches they made to give everyone that creepy feeling. Our host was very helpful, friendly and knowledgeable. He gave us the rules, which, since live actors were new to us, we listened to intently. We were then brought into the first room where we dropped off our coats and bags and were treated to a very well-produced video detailing the story that would soon unfold. We were then instructed to put cloth bags over our head (bags that were washed regularly, we were assured) and knock on the door. When unmasked, it was clear the room really had an underground décor that really matched the story. Were some of the props torn or falling apart? Yes… because you are in a psychopath’s basement! Our main criticism, for our experience, were the broken and missing puzzle components… and not just one. This was clearly caused by both an incomplete set of props and also broken equipment. Most of these, we hope, are not common occurrences and can be remedied rather easily. These didn’t cost us a lot of time but when you only have 45 minutes, it is certainly noticeable and frustrating. When it comes to starting blinded with the bags, we have experienced this “thrust into the world” approach in other escape rooms and we find it helps so much during our game play to forget the outside world and become fully immersed in the story. The cage we were thrown into gave us a very claustrophobic feeling (especially those of us in the back) but we were not in the first place long. The whole basement certainly had that very sinister vibe and, as we progressed, it really gave us that sense of dread and panic. Light, sound and temperature were all used in tandem to not only create the atmosphere but to also never let you forget that a madman was watching. We don’t want to give too much away but one aspect that we all agreed made the experience was the actor we had to interact with. They never broke character and were integral to the suspense and general drive to get the hell out of there! We are all a bunch of mostly talented actors so when we say they brought everything to the show, trust us! The puzzles themselves were pretty standard fare. Multiple locks to open and codes to find. However, the horror elements and environmental anxiety do give you that sense of panic. So, what might have been seen as easier in, say, a typical office setting, was more challenging in this room. As they claim on their website and we can confirm, communication and team work are skills needed to escape The Basement. The nonlinear puzzle design means you need stay organized and be thorough. Other than a few puzzle issues, for our first Live Action Horror Experience, we had a fun time (if you consider sheer panic “fun”)! With literally only seconds to spare when we escaped, we all felt that rush of relief when the door opened to know we weren’t all about to be this killer’s next victim. After the room, to our delight, we were informed that this is only the first chapter in a four chapter story with more rooms opening within the next year or so! We will absolutely be looking forward to the next installment. 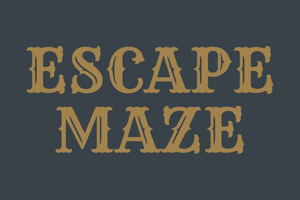 We would not recommend this be your first escape room ever since you get 15 minutes less time than normal and knowing the basics will help you navigate the room. This room, for obvious reasons, is not recommended for children under 13 and all teens 17 and under must be accompanied by an adult. This place is open all year round so if ever you are looking for that hit of adrenaline and thrills, find it at The Basement. Happy Escaping. Drinks are for winners!